When she was three, my daughter asked, “What does science mean?” I probably answered with something like: “it’s how we understand how the world works.” Luckily, our yard was full of butterfly cages for my research, which helped illustrate what I meant. Her question made me think about the ways that she naturally engaged in the scientific enterprise during most of her waking hours. I firmly believe that we are all scientists at heart—we observe our world and ask questions, and our worldview is influenced by our interactions with natural and human-created systems. Watching a child shape their own learning is an amazing experience. Ideally, this kind of engagement will extend long beyond childhood. The word science comes from the Latin word scientia, which means knowledge. I like the Merriam-Webster definition of science: “the state of knowing; knowledge as distinguished from ignorance or misunderstanding.” Wikipedia’s article on science includes the following statement: “Science is based on research, which is commonly conducted in academic and research institutions as well as in government agencies and companies.” This definition is notable for who is left out of the scientific process. Some of us get paid to be scientists, but many other people make important contributions that increase the knowledge in the world (and challenge ignorance and misunderstanding). This is where citizen science comes in. We often use the word citizen to refer to an inhabitant of a specific place. Thus, the term citizen science can broadly mean the engagement of anyone in science. Actually, most scientific research was conducted by amateurs prior to the late nineteenth century. People kept records of locust outbreaks in China at least 3,500 years ago. Victorian collectors kept careful field notes and curated specimens of butterflies collected from around the world. In North America, the oldest biodiversity monitoring project is the Christmas Bird Count, which started in 1900. Monarch butterfly citizen science started in the 1950s, when Dr. Fred Urquhart at the University of Toronto engaged the public throughout North America in a quest to discover where monarchs spent the winter. My involvement with citizen science started in 1996, when I developed the Monarch Larva Monitoring Project at the University of Minnesota. Two other monarch monitoring projects—Journey North and Monarch Watch (both of which focus on migration)—also started in the 1990s. These three projects continue to engage the public and make significant contributions to our understanding of monarchs. Citizen science does more than help us understand how the world works. In a rapidly changing world, we need more people to actively engage in science. The broad spatial and temporal scales of data collected by citizen scientists help us address conservation challenges, but public engagement has many other benefits. We know that monitoring natural systems strengthens connections between humans and nature. Citizen scientists also share their findings and feelings with their family, friends, and community, and they become more aware of the enterprise and value of science. I would argue that all of these are good things. We are excited to announce that one of North America’s premier citizen science programs, Journey North, is moving to the Arboretum. 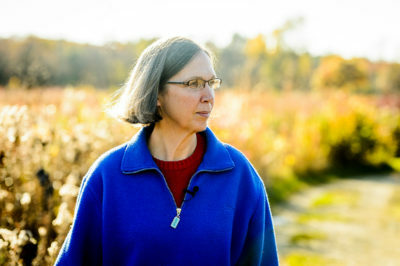 Founded in 1994 by Elizabeth Howard, Journey North provides a platform for citizens of all ages to help track migratory species like monarch butterflies and hummingbirds. I have personally known Elizabeth for many years and share her commitment to fostering a program that provides data on migratory species and facilitates engagement in science for everyone. The Arboretum is a fitting home for Journey North. Our staff expertise, partnerships, and the land itself make the Arboretum an ideal center for citizen science projects. As a university research and teaching unit committed to public engagement and education, we are able to create and share educational materials and engage professional scientists in developing protocols and data analysis. The best thing about citizen science is that anyone can be involved. Whether monarchs, bees, dragonflies, worms, birds, or something else strikes your fancy, we welcome you to join an Arboretum citizen science team!